Families struggling with a mental health crisis will soon find more available access to emergency mental health services in Orange County. 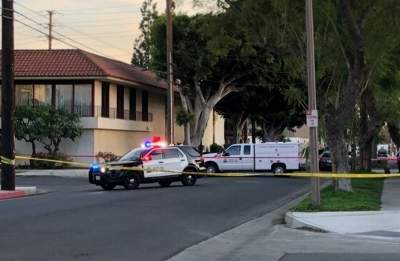 The Orange County Board of Supervisors has approved a plan that will double the number of crisis stabilization units in Orange County. 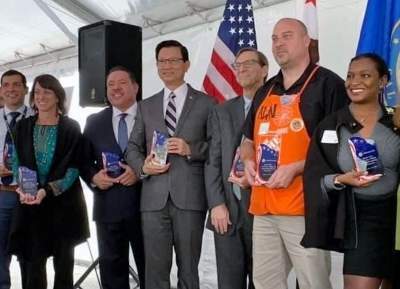 Orange County Supervisor Andrew Do, who has lead the effort to expand and improve the County’s mental health infrastructure, says that the new facilities are an integral component of a stronger system of care. Under the plan approved Tuesday, the County will dedicate $13 million toward 12 crisis stabilization chairs, serving an average of 18 people per day at College Hospital in the City of Costa Mesa. Prior to the county’s expansion, Supervisor Do noted that Orange County had just 10 crisis stabilization units available to serve the county’s more than 3 million residents. In addition to the most recent action to double the number of crisis stabilization units, Orange County is currently in development on a first-of-its-kind mental health center and psychiatric emergency room facility in Orange. 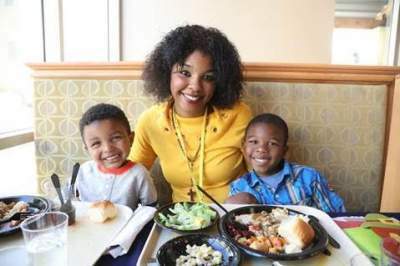 The $40 million project is scheduled to open in Spring 2020, and will provide a full suite of mental health services for patients in Orange County. Frequently, patients living with mental health issues cannot wait for a regularly scheduled appointment. Crisis stabilization units provide patients psychiatric assessment, physical screening, collateral history, therapy, crisis intervention, medication services, education, nursing assessment, coordination of referrals to continuing care and emergency housing, post discharge planning and facilitation of transfer of individuals to inpatient treatment facilities when clinically appropriate and indicated. “This facility provides patients with the treatment they need – when they need it,” said Supervisor Andrew Do. Provided on a 24 hours a day, seven days a week, 365 days a year basis, the CSU will provide services to walk-ins, police transports and emergency department referrals regardless of funding/insurance. The Orange County Health Care Agency will reimburse the provider on a fee for service basis for Medi-Cal units of service. Federal Judge David Carter spoke at the groundbreaking ceremony and recognized the project as another best practice and model for addressing homelessness in Orange County. SANTA ANA, CA – On January 23, 2019, the City’s Homeless Evaluation Assessment Response Team (H.E.A.R.T.) concluded “Operation Safe Passage,” the latest citywide effort to contact homeless individuals and ensure they have access to resources and/or shelter beds. The six-day operation saw Santa Ana police officers make contact with over 400 homeless individuals throughout the City, referring 37 to two Santa Ana homeless shelters: The Courtyard and The Link. For a full summary of Operation Safe Passage, please visit https://infogram.com/operation-safe-passage-1h0n25p831qo6pe. In December 2018, the City conducted “Operation Dignity,” which focused on reaching out to homeless individuals in visible, public spaces. The January 2019 “Operation Safe Passage” was a more involved effort, as teams sought out homeless individuals in less-accessible areas, such as underpasses and railroad tracks. The City’s Quality of Life Team (QOLT) also assisted in area clean-up and bulk item disposal after homeless individuals were directed away from the area. Like much of California, the City of Santa Ana has struggled with the issue of homelessness for years. 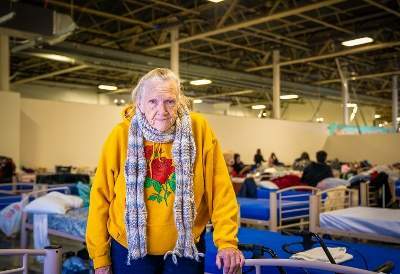 In early 2018, the City counted a total homeless population of over 1,600 people–more than 1,000 of those without shelter. 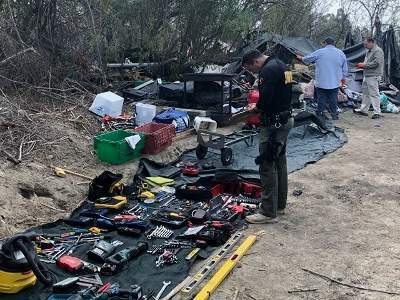 At the same time, U.S. District Court Judge David O. Carter was imploring all Orange County cities to create more shelter beds or risk forfeiting their right to enforce “no camping” ordinances. 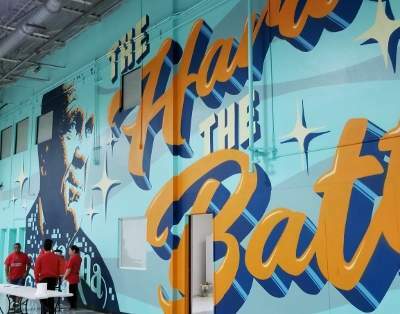 The City responded to Judge Carter’s challenge by pledging to build a 200-bed interim homeless shelter, later named “The Link.” From the time a 35,000-square-foot site was designated to opening The Link’s doors for service, the City and its partners had built this interim homeless shelter in just 28 days. The Link launched in mid-November 2018; as of January 22, the “bed count” (the number of beds filled that night) at The Link was 143. The City of Santa Ana especially thanks the Santa Ana Police Department H.E.A.R.T., CityNet, Illumination Foundation, Mercy House, and the Orange County Health Care Agency (HCA) for their ongoing support in referring homeless individuals to the City’s shelters. The HCA and H.E.A.R.T. have also formed a joint Psychological Emergency Response Team (P.E.R.T.) to effectively provide assistance to individuals with mental illness and/or substance abuse problems. In just a little over two months, these groups have referred over 290 homeless individuals to resources and shelter at The Link. When officers contacted the male, he was uncooperative and a minor use of force occurred. A search of the storage room, which the suspect had made into a living quarter revealed a plethora of stolen items. 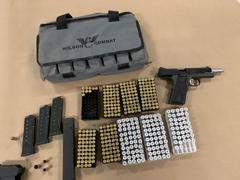 A loaded 45-caliber stolen handgun, approximately 18 magazines of various calibers all loaded with ammunition and a weight vest with the weights removed and replaced with loaded magazines, which had been placed in the weight pockets for easy access. 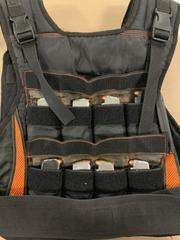 One of the magazines was an extended magazine, which holds 31 rounds of 9 mm ammunition. 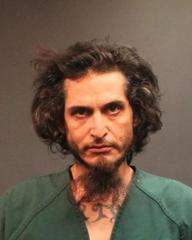 The suspect was arrested and transported to the Santa Ana Detention Facility where he was booked for various weapons charges. IRVINE, Calif. – November 15, 2018 – Federal and local housing leaders, including Neal Rackleff, Assistant Secretary, Planning and Development at U.S. Department of Housing and Urban Development (HUD), Chairman Andrew Do, Orange County Board of Supervisors, Susan B. Parks, CEO, Orange County United Way, as well as 30 community and business leaders came together today to announce Orange County’s first-ever landlord incentive program designed to help house chronically homeless individuals. 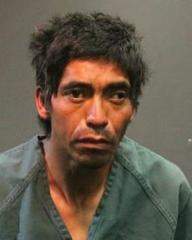 The SAPD has responded this afternoon to a vacant, dilapidated office building that has been a hangout for the homeless, at 1441 E. 17th St., in Santa Ana. 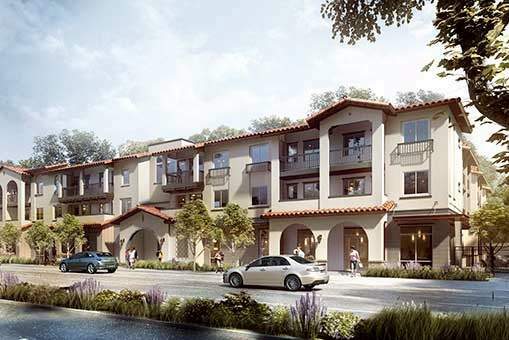 Santa Ana, California – Orange County is closer to achieving its goal of building 2,700 new permanent supportive housing units for the homeless. Why did the City of Santa Ana allow our parks to become unsafe for kids? 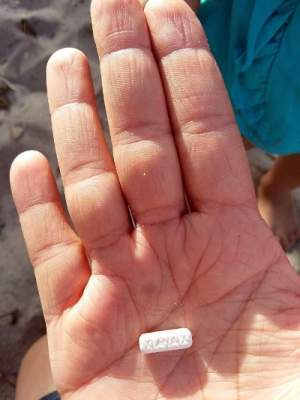 One of our readers reported that her 2-year old toddler found a Xanax pill while playing in the sand at El Salvador Park in Santa Ana. As it turns out it is possible that pill contained Fentanyl, which could be fatal to a toddler.